The ailment that forced the Rolling Stones to cancel their scheduled May 2 concert at the New Orleans Jazz & Heritage Festival and postpone other 2019 tour dates was revealed Monday (4/1). 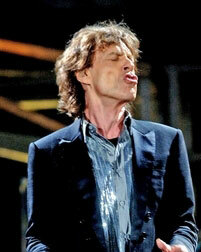 Mick Jagger will undergo heart surgery to repair a faulty valve. Jagger, famous for keeping himself fit, is expected to rebound from the procedure in time for the band to hit the road later in the year.